Yesterday I purchased a yellow and black 1981 Charleston X Reg. Would anybody know approximately how many in these colours still exist. Any info would be most helpful as this model is new to me. 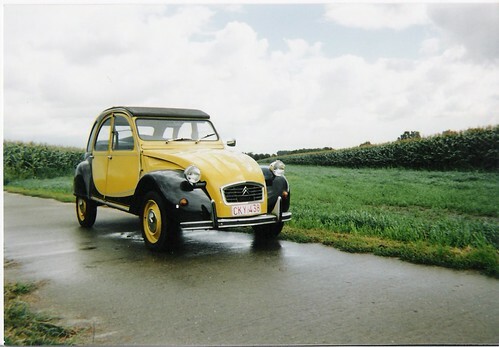 I'm not by any standards an authority on those but the yellow and black Charleston was the rarest colour combo, and an X reg one would be quite rare in itself I imagine, as it was around that time that disk brakes were introduced. Is it in it's original colour scheme? I thought the early ones were maroon and black? and it was on here but nobody took any heed of it! Look here, no real info. but worth a visit. Yellow and Black Charlestons were not very popular when brought on the market in autumn 1981. Most of them were sold in the UK and Germany, I think because these are the countries where most of the surviving cars are still to be found. I have a 1982 one that was manufactured in Feb 1982 (ORGA 1925). Yellow and black are my favourite charleston colour scheme. And then the maroon and black, and then the one i ended up with! i heard this colorscheme was also very popular in italy. In holland there were about 25 sold.